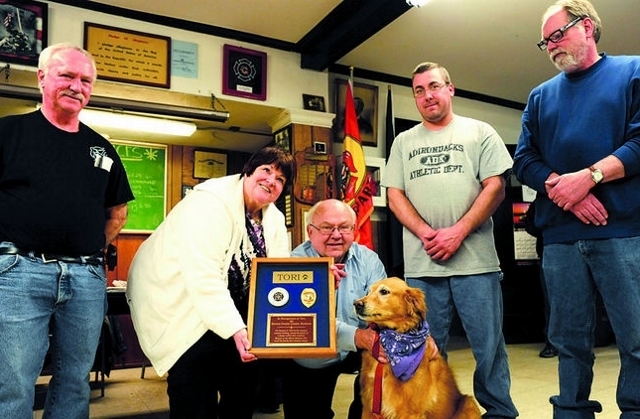 From Left to Right Chief Dean Smith, Smidge, Bob and Tori Stevens, 1st Asst. Chief Tim Bryant and 2nd Asst. Chief Dana Regatuso Sr.